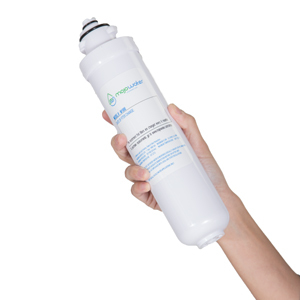 BottleLess.com offers you two options when it comes to water filtration – Micron Filtration and Reverse Osmosis. Our Micron purifi­ca­tion tech­nol­ogy works great to remove impu­ri­ties and chem­i­cals found in tap water, but some parts of the coun­try that have a higher con­cen­tra­tion of salt in their water may ben­e­fit from Reverse Osmo­sis purification. Read more about each option below to see what kind of filtration is best for you. Our Twist-Off Purification System is the ultimate “user friendly” filter on the market. Replacement of the cartridges is completed in a matter of seconds. You just detach the filter body from the permanent head with a twist of the wrist. The new filter cartridge is just as easily replaced by threading it into the head. WHAT DOES MICRON FILTRATION REMOVE? Our Micron purification system has been tested to NSF performance Standard 42 and Standard 53. It is independently certified for chlorine, lead, cysts, bad taste and odor reduction. Specifically, it is a 1 micron, block, granular activated carbon filter with lead reduction media. It is certified for 1,000 gallons which equates to drinking 200 of those big five-gallon bottles. Our filters undergo rigorous testing and independent verification for performance. Each filter is rated at .5 gpm with a maximum pressure of 125 psi and a maximum temperature of 100º F. Class 1 filtration media. All filters should be installed on cold water lines only. 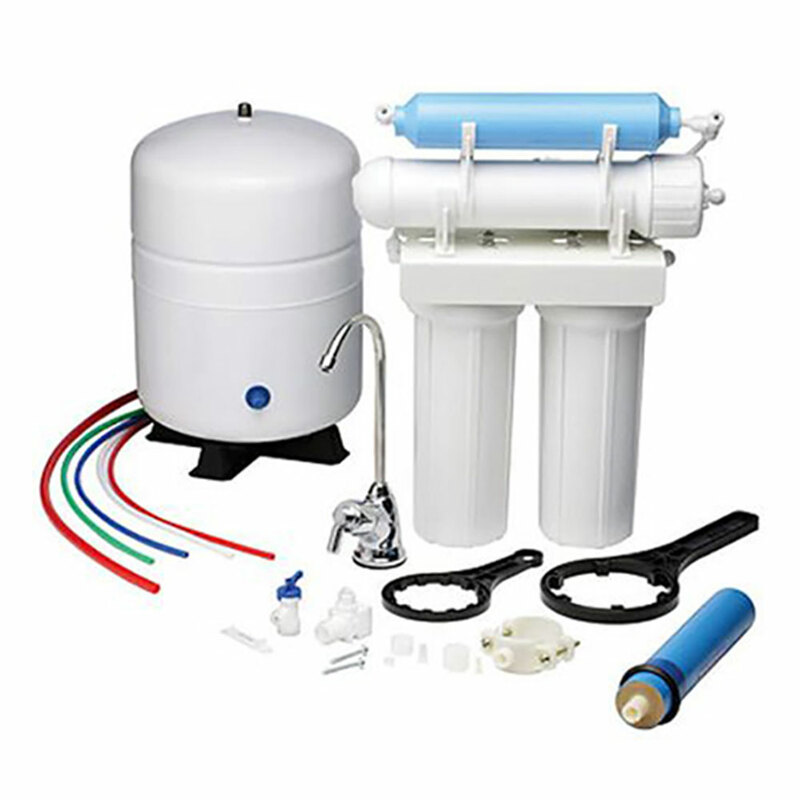 For parts of the country where there is an extremely high salt concentration in the municipal supply, BottleLess.com recommends that you upgrade your purification technology to reverse osmosis. Reverse osmosis removes more than 85% of the minerals from their water (in addition to the things removed by our Micron Purification). Salt is a mineral – so RO is necessary to make this water taste delicious. Basically, you’re left with just H2O. This is the same process used to turn ocean water into drinking water (otherwise known as desalination)! Your water passes through a 4-stage reverse osmosis purification system before it gets to your glass. The first stage removes particles 20 times smaller than the diameter of a human hair. The second stage enhances the flavor and purity by removing chlorine, lead and potentially harmful chemicals that produce bad taste and odor. The third stage removes about 90% of all minerals in your water. In this stage, water is pressure-forced through the pores in the membrane. The fourth stage further purifies the water to give it a clean, crisp taste. Size of the “Pores” in a Reverse Osmosis Membrane? 1/2000th of a Micron! Water is pressure-forced through microscopic pores in a thin membrane. How small, you ask? These “pores” are 200,000 times SMALLER than the diameter of that human hair! Reverse Osmosis is the process used by many brands of bottled water such as AquaFina™ and Dasani™. Check out the labels!